Dogs welcome, large or small, one or more. 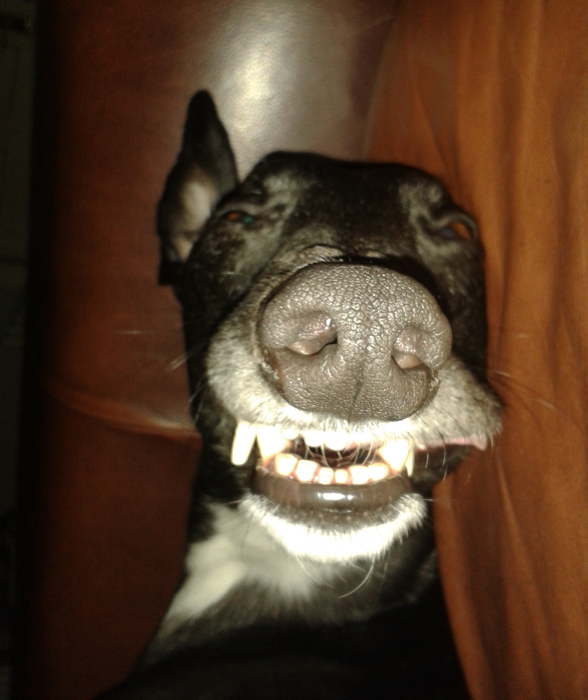 A Greyhound haven! 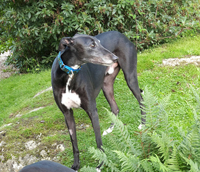 The voluntary work Jenny and Stuart started in July 2004 is a memorial to their darling Penny. Without her coming into their lives none of this would have happened. 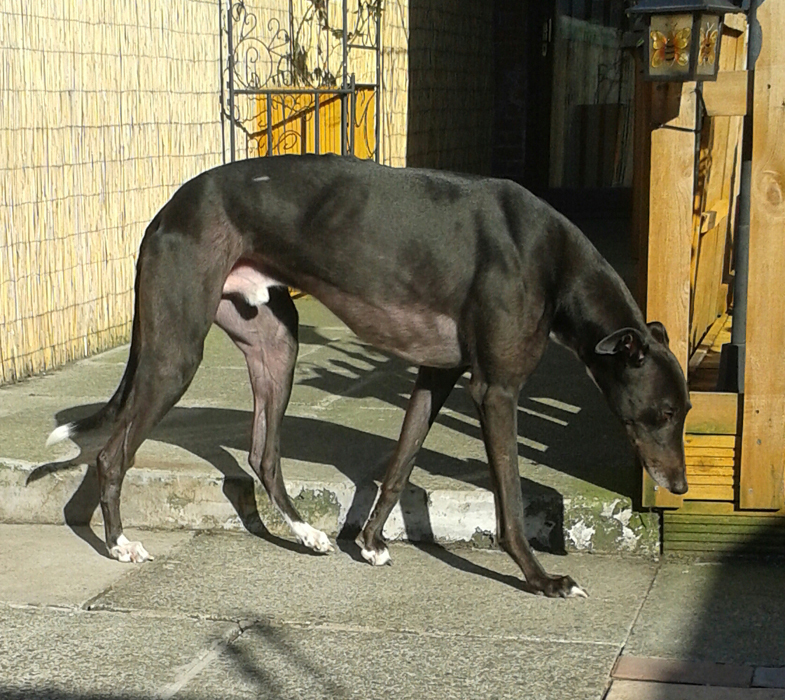 Please ring for an appointment to come and see the greyhounds and have a chat. You are most welcome, but as we run a bed and breakfast it is essential you ring and arrange a date and time to visit. Become a friend and view Our Profile to see what's happening at the branch and to follow some of our ex-foster greyhounds. 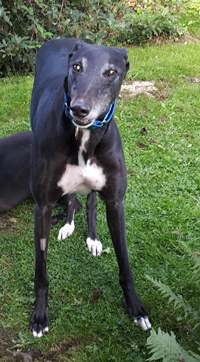 CAN YOU TEMPORARILY FOSTER A GREYHOUND FOR US? 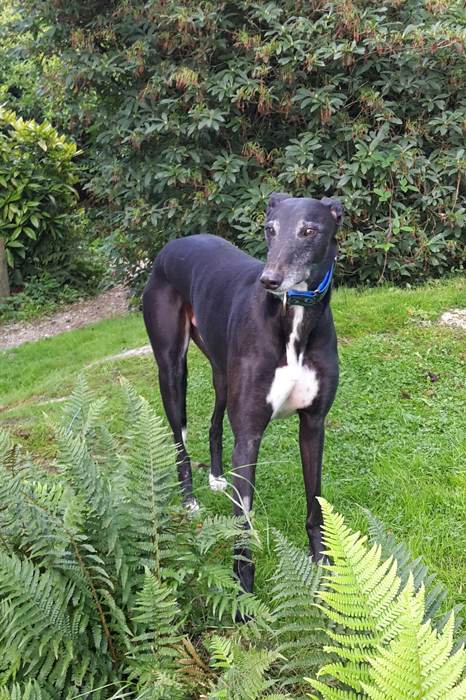 Fosterers are a valuable part of greyhound rescue in that another greyhound is living life away from the kennels and taking the first steps towards getting used to the family way of life. If you live in the South Lakes or the surrounding area and would like to foster a greyhound until we can find him or her a new home. 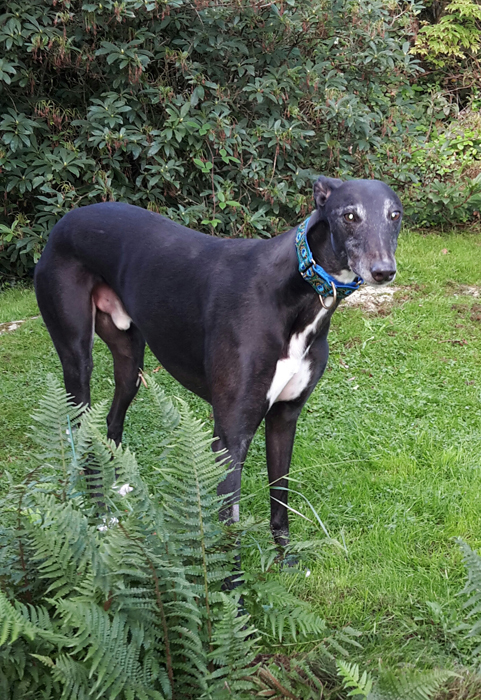 Would you like to become a registered volunteer and walk a Greyhound? Volunteers offering to take a Greyhound for a walk, an afternoon out or a stop-over play a very important role here at the branch. please contact Jenny or Stuart T: 015395 52394 or email us for more information and to see how you can help. for those in our care until we find them new homes. May we thank all who have donated, it's much appreciated. which is what we use for the greyhounds in our care until we find them new homes. Become a VIP member and nominate Greyhound Trust South Lakes as your chosen charity. If you nominate our branch as your charity the 'lifelines' you collect each time you make a purchase either in store or on-line will go to our branch. 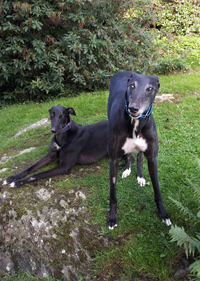 Each quarter we receive a voucher to the value of the lifelines nominated to our branch which we can spend at the Kendal (Cumbria) Pets at Home store on items needed for the dogs in our care while looking for new homes. Thank you. 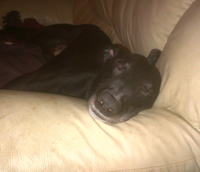 Sly arrived on Thursday 2nd January 2014. 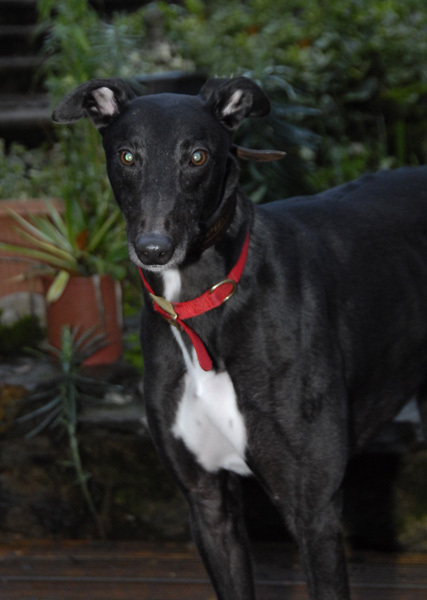 Sly is a handsome black ex-racing greyhound who was born in March 2010 and weighs 36k. 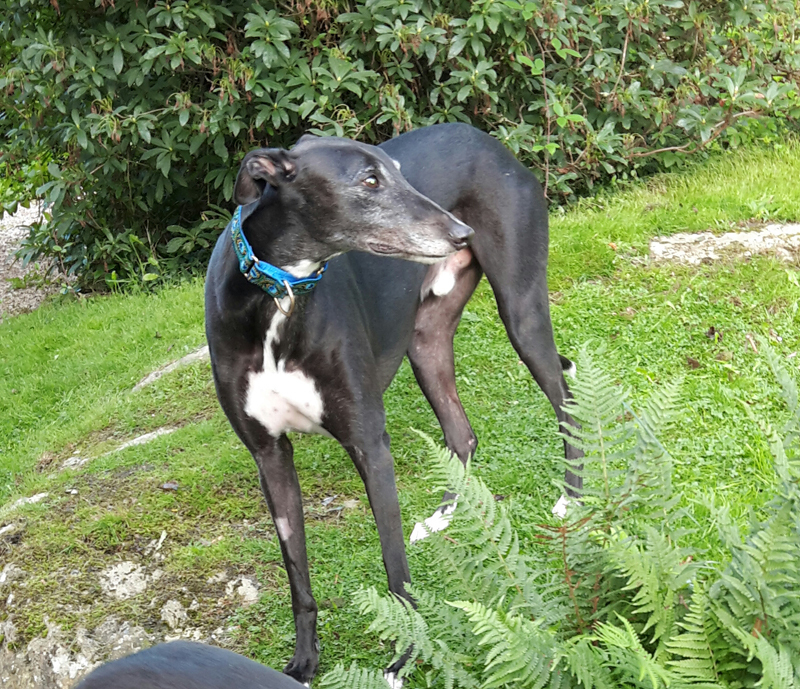 He is housetrained, inoculated and microchipped, walks nicely on the lead, fine with children and other breeds of dogs and ignores cats and pheasants when he sees any while out walking. This photo was taken of him as it was going dark and beginning to rain, but you can see what a handsome fella he is! Now in foster care he has been neutered and given a booster inoculation in readiness for going to his new home. This afternoon Sly arrived, and upon departing his current owner and trainer was almost in tears at leaving him. 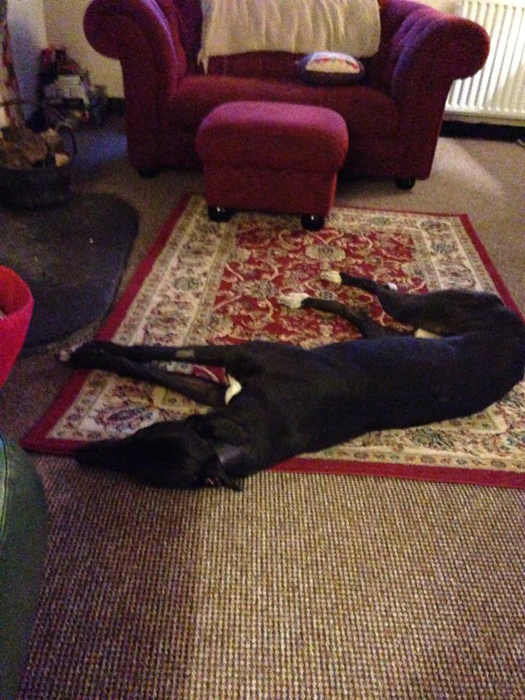 Finding himself parted from his owner Sly was a little stressed at first then quite nervous in the house to begin with before he settled. Once settled Sly became a really happy dog and constantly wagged his tail. This evening because we'd promised to go to the pub along the road with some of our bed and breakfast guests we thought it best to take Sly with us. In the pub he ignored a fluffy, bouncing Spaniel and was generally good, although a little anxious at times, which is to be expected. Back home and time for bed Sly began to whimper. He didn't want to go in the crate as some like, so he slept by my side of the bed boxed in with the bedding box to stop him wandering. Once settled by my side of the bed Sly had a good night. This afternoon Sly's new owners arrived and he remembered them from their previous visit while he was still with his previous owner/trainer. 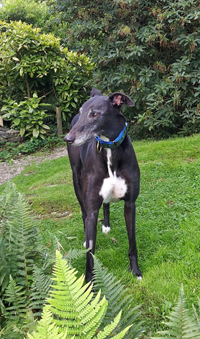 He gave them a lovely welcome and once all the paperwork was complete he jumped in the back of his car and off he went to his new forever home where we hope he will have a long and happy life. Sly, his companion Willow and their owners came to stay at the bed and breakfast and when they arrived home they sent me some photographs taken while in our guest's garden. This morning we heard that Sly and Willow had been out for a good run today. They both had a swim in the lake, Sly just jumped in and Willow followed. 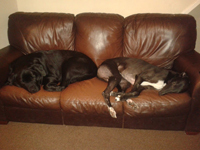 Their owners said they had two very tired dogs now who would no doubt sleep until tea time! They've both had a good run.